Duchess recycled £900 Roskanda dress first worn in Australia on royal tour in 2014. Catherine, Duchess of Cambridge visits the Lawn Tennis Championships at the All England Lawn Tennis Club in Wimbledon. The Duchess of Cornwall met with ball boys, ball girls and Armed Forces personnel who are acting as stewards for The Championships, on the Players’ Lawn. As President of Barnardo's, which is this year celebrating its 150th anniversary, she also met some former Barnardo's boys who were ball boys during previous Wimbledon Championships. 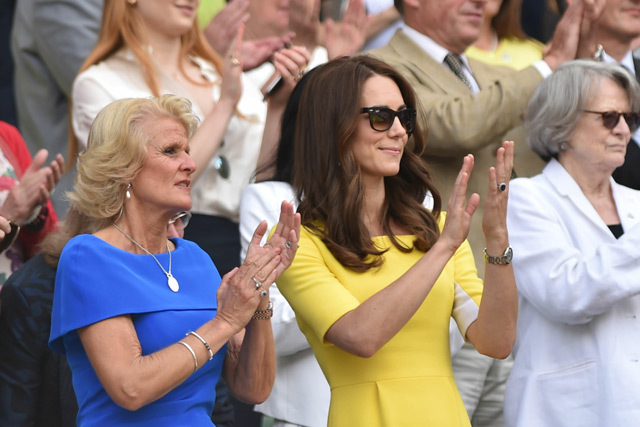 Catherine, Duchess of Cambridge watch US player Serena Williams play Russia's Elena Vesnina during their women's semi-final match on the eleventh day of the 2016 Wimbledon Championships. 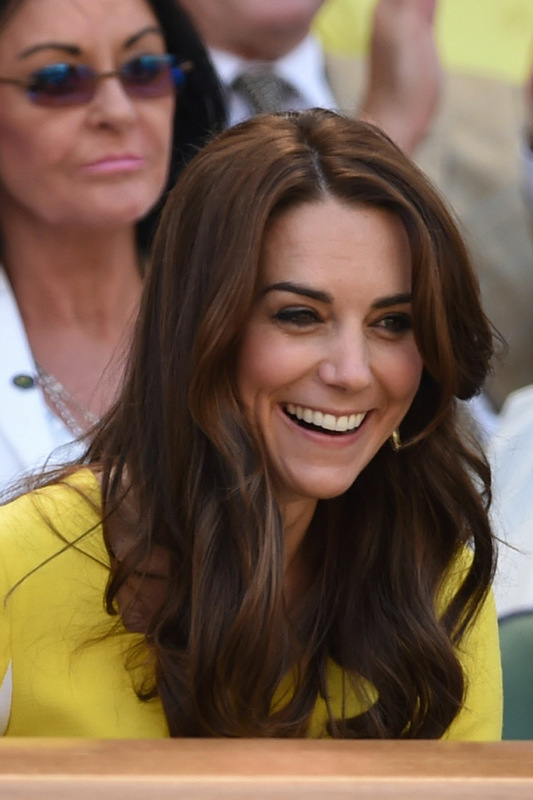 Kate revealed to Greg Rusedski that Prince George loves tennis and has his own racket.